With deep respect for Pope Benedict XVI and sincere humility, I have accepted the Holy Father’s request to serve as Apostolic Visitor to the Archdiocese of Dublin during the upcoming Apostolic Visitation of the Church in Ireland. I look forward to meeting with Archbishop Diarmuid Martin and our working together. 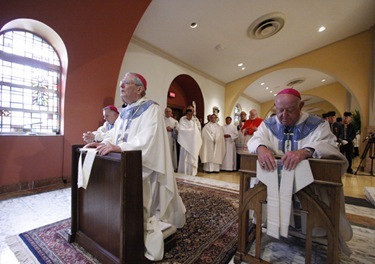 The Church must be unfailingly vigilant in protecting children and young people. Our ongoing efforts in the Archdiocese of Boston to ensure their safety will be helpful for the visitation. It will also be important to respond to the concerns of the Catholic community and the survivors in the manner that will promote the process of healing. The Holy Father’s letter to the Catholics of Ireland this past March made clear the priority of pastoral care and concern for all who have suffered from the sexual abuse of children by clergy and religious. 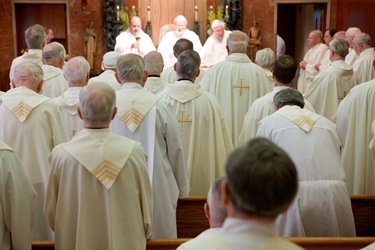 His prayer that, “by drawing nearer to Christ and by participating in the life of his Church – a Church purified by penance and renewed in pastoral charity – [we] will come to rediscover Christ’s infinite love.’ will guide our efforts in this visitation. I ask for the prayers of the Archdiocese of Boston for me and for our brothers and sisters in Ireland. May the light of Christ, which is not overcome by any darkness, lead us forward. 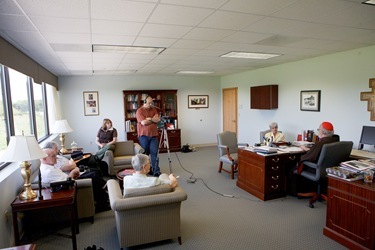 Tuesday of last week, I was visited by some members of Maryknoll who came to Boston as they are marking the organization’s 100th anniversary. Maryknoll, as you may know, is an organization of priests, brothers, sisters, and laity who serve as missionaries in Asia, Africa, and Latin America. They are producing a video to which they asked me to contribute, which I did very happily. 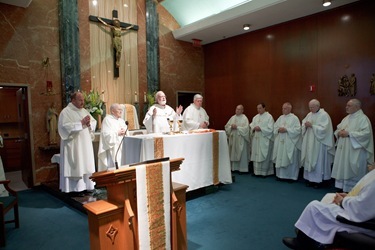 Some of the Maryknoll fathers, brothers, and sisters came because the organization was founded 100 years ago by Boston priest Father James Anthony Walsh, Father Thomas Frederick Price, of North Carolina, and Mother Mary Joseph Rogers, a Roxbury native. 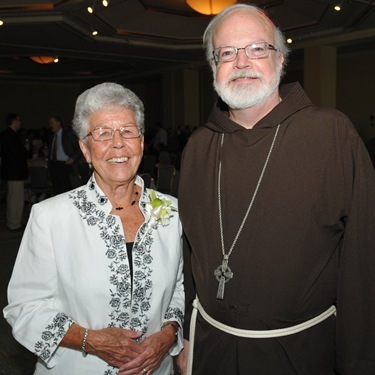 Fathers Walsh and Price founded the Maryknoll Fathers and Brothers in 1911 and Mother Rogers founded the Maryknoll Sisters of St. Dominic in 1912. 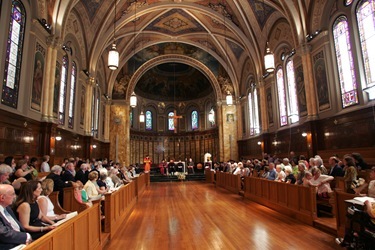 Father Walsh had been a curate at St. Patrick’s in Roxbury. He was a graduate of St. John’s Seminary, where he was involved in mission projects even as a seminarian. In 1903, he became Diocesan Director for the Society of the Propagation of the Faith. He eventually founded Maryknoll and became a missionary in China. Mother Rogers had been a student at Smith College in Northampton, where she studied zoology, and was one of the very few Catholics there. She also earned a teaching certificate at Boston Normal School. After graduation, she returned to Smith to serve as an assistant in the school’s biology department, and organized a mission club for the college’s Catholic students, inspired by the throngs of women leaving from Smith College to go to the missions. She also spent time teaching in Boston’s public schools, both at the elementary and high school levels. She also helped Father Walsh with his newly-established missionary magazine, The Field Afar. This year, as they were celebrating their 100th anniversary, they wanted to connect with their roots in Boston. It’s very interesting that Boston also has the St. James Society, which was part of the missionary impetus of Cardinal Cushing. In Boston there has always been a lot of outreach to the missions. Even in my latest trips to Haiti, I was amazed to see how many local parishes have ties with agencies and parishes in Haiti. 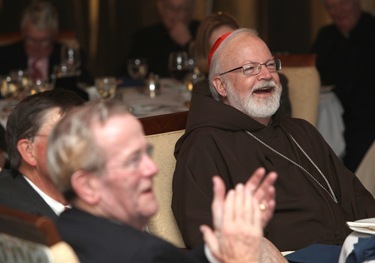 This strong missionary bent is part of our tradition here in the archdiocese. 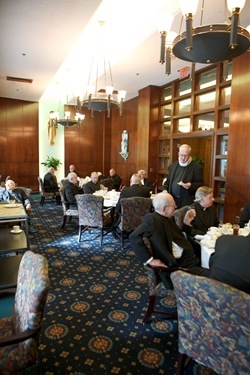 That evening, I went to the Boston College Club, located in the Financial District, for a dinner to honor our senior priests. 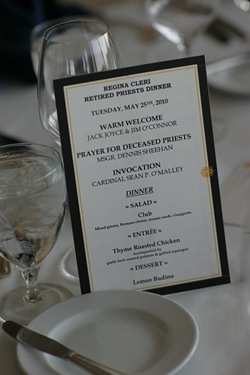 Every year, the Knights of Malta and the BC Club sponsor a dinner for the retired priests. They hold it in the BC Club, which is a beautiful venue. It is on the top floor of a building with a panoramic view of the city. They always have entertainment. The Kevin Barry Pipes and Drums were there. Below I have included a video of their music so you can enjoy it as much as I did. Kevin Barry Pipes and Drums from bostoncatholic on Vimeo. 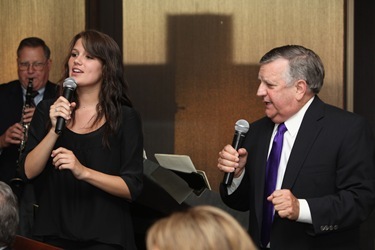 The group The Treasury Notes, who was started by former State Treasurer Robert Crane and his group of singers, always sing oldies but goodies that the men enjoy. 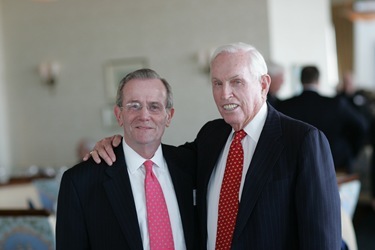 We are very grateful to Jack Joyce and Jim O’Connor from the Order of Malta for organizing it. It was a very beautiful evening. We always end with the Salve Regina. 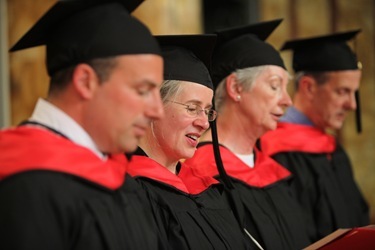 We had the Master of Arts in Ministry program graduation at St. John’s Seminary last Wednesday afternoon. There were eight graduates this year. 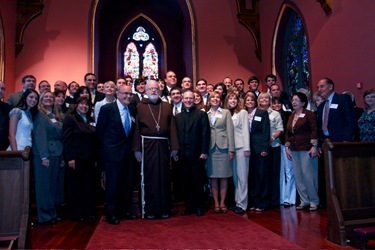 It was the program’s tenth anniversary. They announced there have been almost 100 graduates in ten years. Now, we also have the non-degree catechetical certificate program that has been started to train catechists. 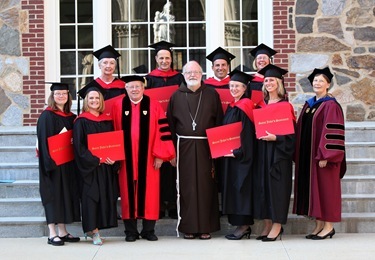 We are very grateful to Dr. Aldona Lingertat, Father Arthur Kennedy, David and Angela Franks, and all of those who have been part of this program. 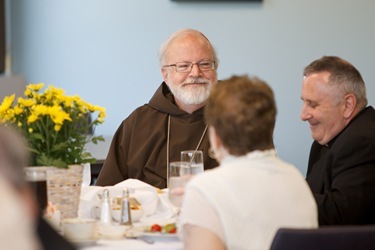 It really not only gives people the intellectual formation but also the spiritual and pastoral formation to prepare them for ministry in the parishes. 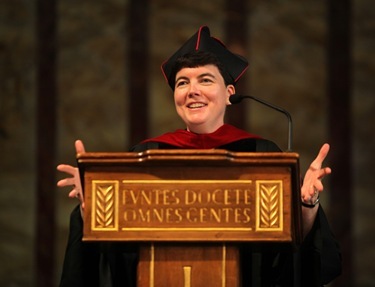 The keynote speaker was Dr. Aurelie A. Hagstrom, chair of the Department of Theology at Providence College. You can read more about her address and the graduation ceremony here. 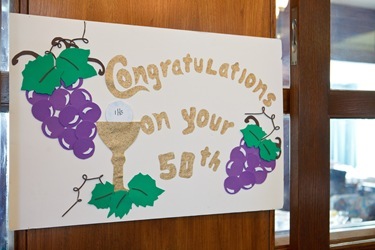 Last Wednesday we participated in the Silver Anniversary Celebration of the Crossroads Family Shelter in East Boston. 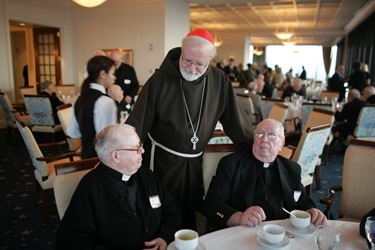 The center was founded in 1985 by the late Father Bernie McLaughlin when he was pastor at Most Holy Redeemer Parish in East Boston. In attendance were many of the people who have worked at or helped the center through the years, including Boston City Councilor Sal LaMattina who used to work there. Speaker Robert DeLeo also came to voice his support. There were also a number of the residents from the shelter at the reception. One woman spoke about how she was a battered woman who went there with her children for safe haven, and shared how well she was welcomed at the shelter. Father Tom Domurat, the pastor of Holy Redeemer, was there. 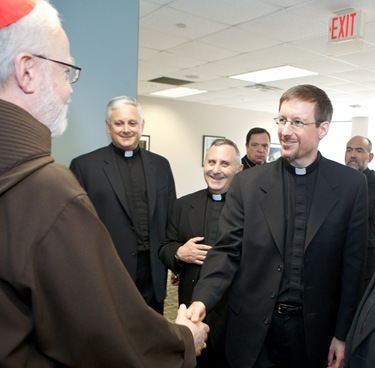 Bishop Hennessey, who succeeded Father McLaughlin as pastor there, has also been very supportive of this mission. Sister Mary Black has been at Cathedral High School for 50 years. 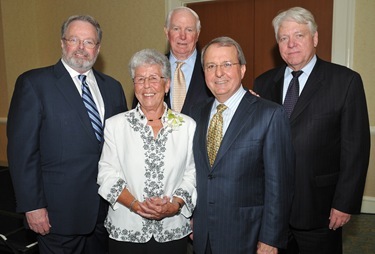 This year, they marked that by having a reception in her honor at the Seaport Hotel on Wednesday. It was very, very well attended. 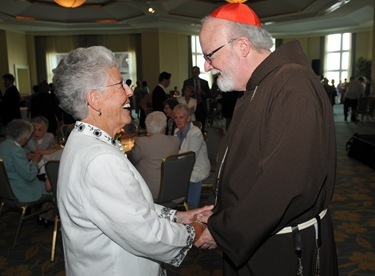 It was a very successful fundraiser for the high school, but also an opportunity to recognize the selfless work and dedication of Sister Mary Black. So many of her former students came back for the dinner. Sister is 80 years old, and in wonderful health and is vigorously active. 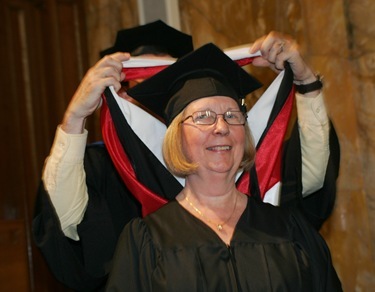 It is obvious from all the people that came what an impact she had on the lives of so many of her former students. 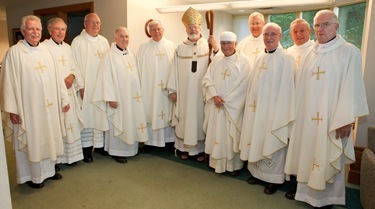 I celebrated a Mass with our Golden Jubilarians this past Thursday at Regina Cleri. 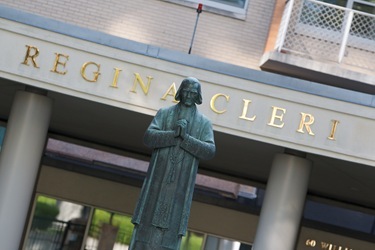 This year, most of the jubilarians are not residents at Regina Cleri but they go back there for the jubilee celebration which always includes a Mass and a nice dinner. Father Richard Clancy and Sister Margaret Catherine Sims from Betania II, a retreat center in Medway came to visit me at the Cathedral, accompanied by an extraordinary Venezuelan choir. Many of them were relatives, associates or devotees of Servant of God Maria Esperanza from Venezuela. I led them in the rosary and then they sang a number of beautiful spiritual songs. 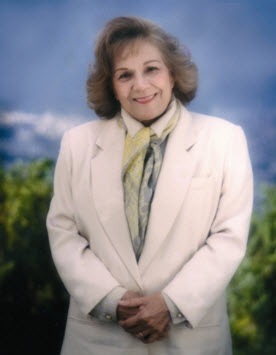 The last one they sang was Alma Llanera, a beautiful Venezuelan song that is considered the unofficial national anthem there. Unfortunately we do not have a recording of their singing. However, I like this song very much so I found this YouTube video that I want to share with you . 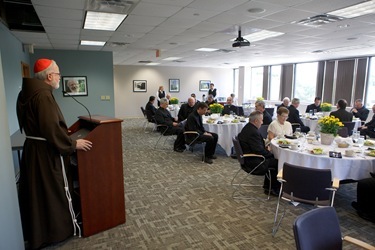 Last Friday, I had a luncheon with our newly-ordained priests and their families, as well as some of our seminaries’ faculty, at the Pastoral Center. Every year, we have this little appreciation lunch. I always enjoy hearing some firsthand reports on their experiences saying their first Masses and so forth. It’s always a nice event. 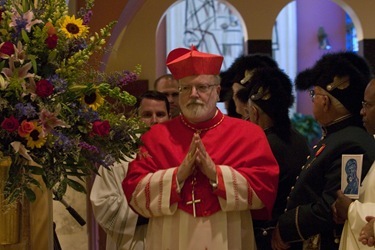 On Monday, I was in Miami for the installation of Archbishop Thomas Wenski. I have known Bishop Wenski since the time he was a young priest working at Notre Dame d`Haiti Catholic Church, the Haitian parish in Miami. 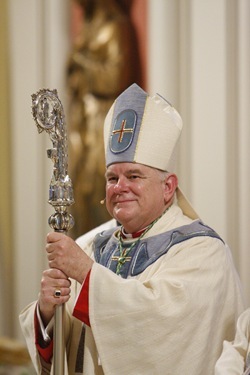 When I was a bishop in Palm Beach, he was auxiliary bishop of Miami. 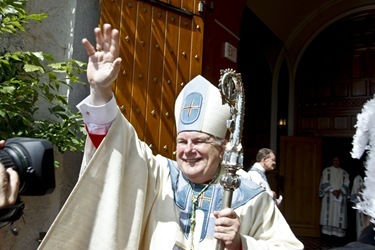 He then became the coadjutor and eventually bishop in Orlando where he has been for the last seven years. 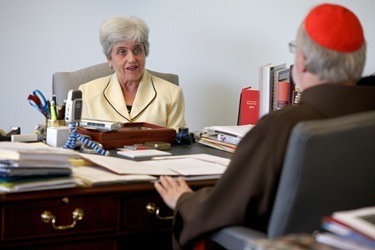 The bishop and I have served on a number of committees together. We were part of a commission that visited Cuba, and we are also on the commission together to deal with the earthquake in Haiti. 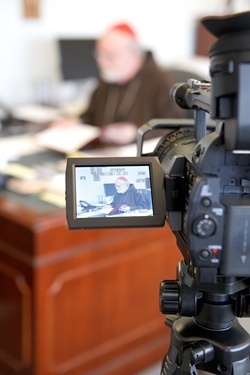 Archbishop Wenski is of Polish origins and he is very proud of his Polish ancestry. 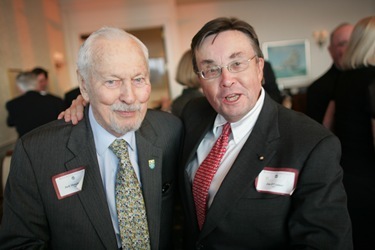 In fact, I used to tell people that when he was younger he had a moustache and looked just like Lech Walesa. He, as a priest, worked with Cubans and Haitians and at Catholic Charities in Miami. 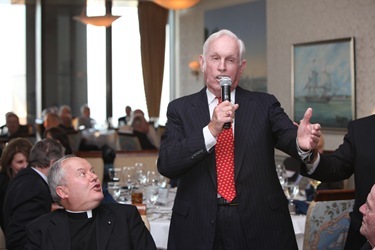 In many ways, he is an extraordinary choice for the Archdiocese of Miami, being a priest of the archdiocese and a man who was so active in community affairs in the city. He returns bringing a lot of knowledge and experience in south Florida to the post. He is, of course, very much involved in immigration issues. 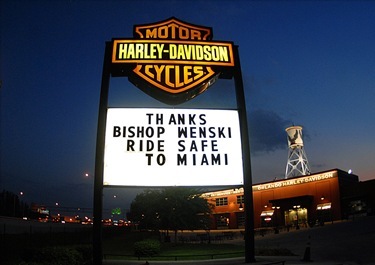 When I was in Palm Beach, I was always happy to have a visit from Bishop Wenski, who is a Harley-Davidson aficionado. He often rode his bike from Miami to come see me. 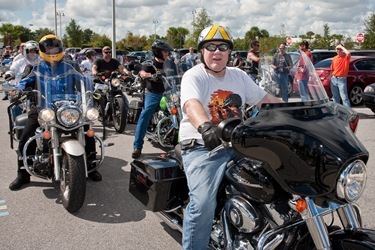 When he left Orlando, the Harley-Davidson people put up a farewell sign for a week. At the installation, it was interesting to see that virtually all the Haitian bishops came, as well as about six or seven bishops from Cuba. Someone commented it was the first time the Haitian bishops ever took a trip together as a group. It did allow us to have a meeting with Father Small, the CRS representatives, and all the Haitian bishops. We spent the morning before the installation planning some of the recovery work for Haiti with the Haitian bishops, which was another advantage of being able to go to Miami for the installation. 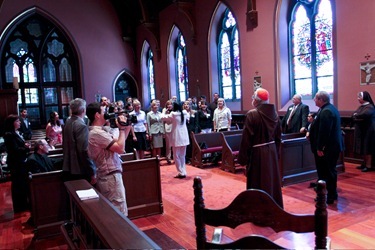 The installation was at St. Mary’s Cathedral, a beautiful Hispanic colonial church. Before my return to Boston I was able to see a lot of my family which is always a very nice benefit. 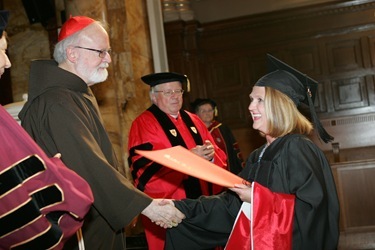 Thank you for the wonderful coverage of the MAM graduation. 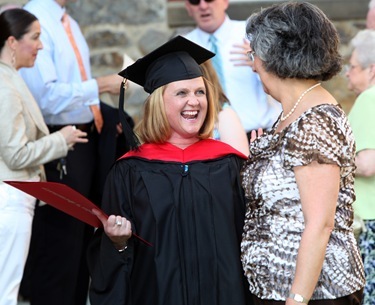 We were so honored by your presence at commencement. Muitos parabéns pelo blog, é com muita alegria que eu acompanho tudo o que vai fazendo na arquidiose de Boston e toda a ajuda que presta a outras comunidades, em especial o Haiti. Eu vivo nos Açores, Vossa Eminência já cá esteve, ainda como Bispo, a presidir às festas do Senhor Santo Cristo dos Milagres, na ilha de S. Miguel. Desculpe escrever em português, mas para mim é mais fácil e o senhor fala muito bem a nossa lingua e penso que irá compreender. My Great Uncle is the oldest living Maryknoll at 99. His name is Brother Conrad Fleisch, and he is in residence in Los Altos, California.